Good day, Parents! We are excited to announce that it seems many of our Youth BJJ members are interested in competing in a local tournament in March. Grappling Industries is coming to Broomall’s Marple Sports Arena. 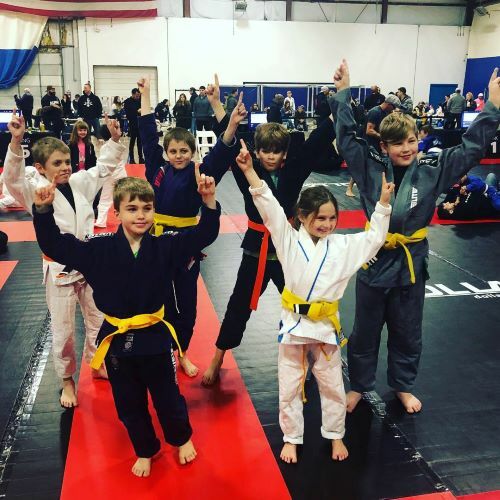 This tournament is being run as a round robin event which means competitors will have as many matches as there are competitors in their kids BJJ division, both Gi and No Gi. We are offering a Kids BJJ Competition Class for registered competitors on the four Sundays prior to the event to help prepare. February 10, 17, 24 and March 3 from 12 noon – 1 pm. Registration and event information is available through the link below. Looking for Martial Arts near Conshohocken? Hart’s has you covered!